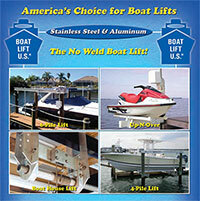 Tropical Marine will install your cradle, elevator boat or PWC lift for large yachts or small jet skis! Sound and safe installation of your Tiki Hut or Chickee Hut built to building code! 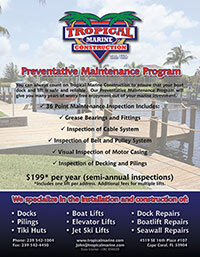 If you need professional repairs for your boat lift or dock, call Tropical Marine Construction first for fast and friendly service. We can complete repairs on your seawall for you to prevent any further damage to your waterfront. Since 1992, we have assisted our customers in building lifestyles for enhanced waterfront living. In that time, our marine contractors business has become the preferred marine building contractors in Cape Coral and Lee County. 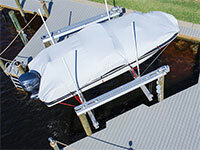 A quick scroll through our photograph samples of completed SWFL dock and deck construction projects illustrates why we’ve earned the reputation as the marine building contractors who consistently meet and exceed customer expectations. With written guarantees, manufacturer warranties, approved design drawings, issued permits, proposals and quotes for your marine construction project, you can rest assured that you have chosen the right dock building contractors for your project. We stand behind our work! Call Tropical Marine Construction today at 239.542.1004, and let us show you how you can build a lifestyle around your new marine construction outdoor living area. One visit to our sample photographs depicting our marine construction projects, and you will understand why we are the preferred marine licensed contractor in Lee County.